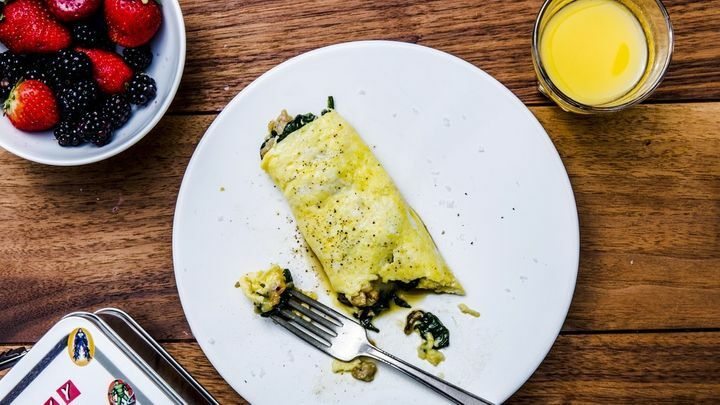 Why Do We Eat Eggs For Breakfast, Anyway? The need for a filling breakfast meant that eggs would serve as breakfast’s primary protein — uniting workers of the world. For Bon Appetit, by Sascha Bos. It’s difficult to answer this question without also asking, Why do we eat breakfast? The Ancient Romans ate breakfast, which they called ientaculum, and included eggs, if available. When the Romans were pushed out of Europe, breakfast left with them, and throughout the Middle Ages Europeans ate two large meals (in contrast to the Roman three). The Normans had dinner around nine a.m., making a wake-up meal superfluous. Physicians and religious leaders of the time suggested that it would be gluttonous to eat before dinner, and so breakfast was a meal reserved for children, the elderly, and manual laborers, who needed energy first thing in the morning. In the west, it is not until 1620 that an English medical writer, Tobias Venner, actually suggests eating eggs for breakfast: poached, with salt, pepper, and vinegar, and served with bread and butter. In one of the oldest known cookbooks, The Closet of Sir Kenelm Digby Knight Opened (1669), Sir Digby, chancellor to Queen Henrietta Maria, suggests eating “two New-laid-eggs for breakfast” (he also recommends them poached). This guy is about to have 4 boiled eggs for breakfast, circa 1845. 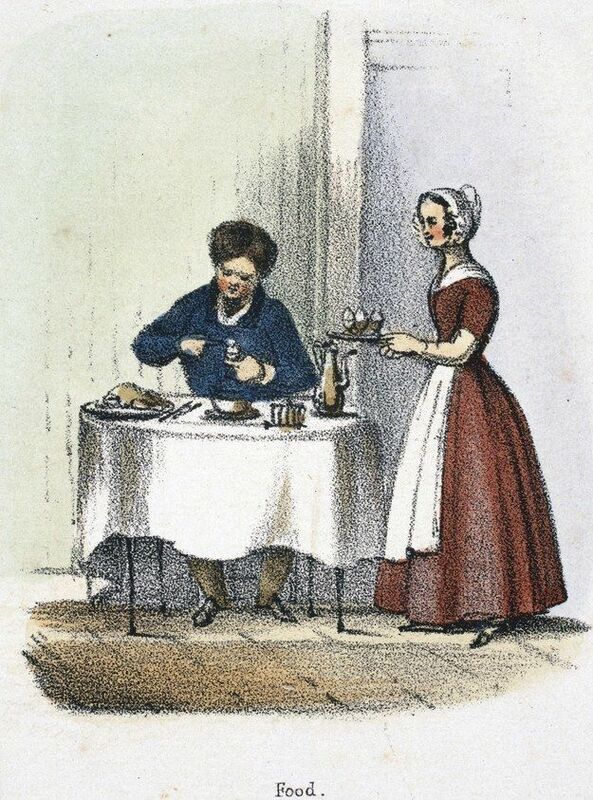 The English began taking their dinners later and later (as late as four or five p.m. by the end of the eighteenth century), pushing supper back even later and creating the need for a third meal: breakfast. It’s in the 1800s that breakfast really takes off. The Industrial Revolution ushers in the need for workers, who in turn needed heavy breakfasts, and the Second Industrial Revolution and rise of the nouveau riche sees the creation of the Full English: an egg-laden meal that can be dressed up (three-course breakfast spreads) or down (beans, toast, and an egg). Throughout its history, breakfast has been the domain of the worker. Those who could afford to eat more lavishly, later in the day, often did. Workers needed protein and fat — slow-metabolizing energy sources—to get them through the day, and eggs provided a cheaper alternative to meat. The need for a filling breakfast meant that eggs would serve as breakfast’s primary protein — uniting workers of the world.